Your sword guides you. Your sword protects you. And it is awesome. Why would you hold it in a run-of-the-mill sword frog? Show your LARP weapon the respect it deserves when you hang it at your hip from the stylish Leon LARP Sword Frog. This leather holster is designed to perfectly fit a LARP sword, and its soft interior means that it can do so without scratching or scuffing the foam. The front of the frog depicts a stitched leather X, making it ideal for Vikings or decorated knights. Its large belt loop allows it to be hung from a variety of belts, granting you the ability to customize your look. 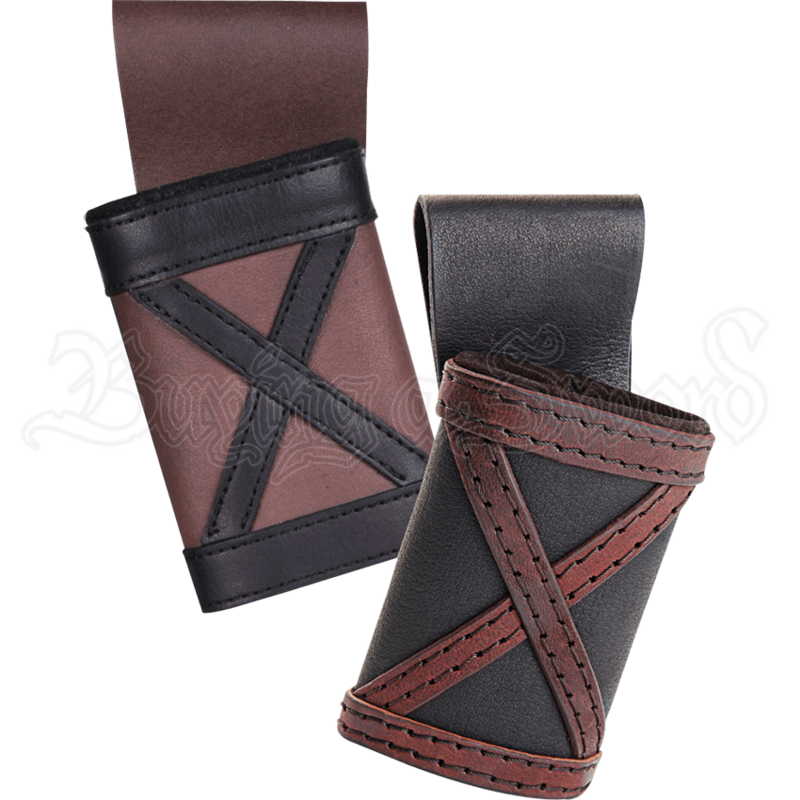 Even better for its customizability is the fact that it comes in two colors - brown with a black X pattern and black with a brown X pattern. The sword frog also comes in left and right, meaning that you can get one for either side of your body. The Leon LARP Sword Frog makes a fantastic functional accessory for any medieval warrior. The left frog is worn on the left hip and is intended for righ-handed draw. The right frog is worn on the right hip and is intended for left-handed draw.